Our aim is to provide a caring, professional service that delivers precise clinical information and reports to assist with a quick and accurate diagnosis. This website has been created to provide you with information about the types of examination available and how to gain access to them. Which examination is best for me? We have done our best to avoid too many complicated medical terms but if you do need any advice or have any concerns we are more than happy to take your call and advise whether a DXA / DEXA scan is a suitable examination for you. 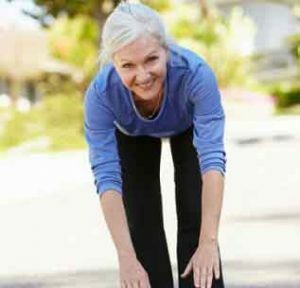 Bone density scans (DXA / DEXA scans) are a quick and painless procedure to assist in the early detection of osteoporosis. We measure your bone density to evaluate your susceptibility to fractures. The lower your level of bone density, the higher the risk of a fracture is. Bone density is measured using the DXA / DEXA (Dual Energy X-ray Absorptiometry) method. The examination is carried out by specially trained X-ray technicians and the results are analysed by specialist radiologists. DXA / DEXA scanning is the best method of testing for osteoporosis, as opposed to some scans which can emit far larger, unnecessary amounts of radiation. Unlike a magnetic resonance imaging (MRI) scan or a computerised tomography (CT) scan, a DXA / DEXA scan doesn’t involve being enclosed inside a tunnel or a ring, so you won’t feel claustrophobic. Instead, you lie on your back on a flat and open X-ray table. You’ll need to keep very still during the scan so that the images produced aren’t blurred. During the scan, a large scanning arm will be passed over your body to measure bone density in the skeleton. As the scanning arm is moved slowly over your body, a narrow beam of low-dose X-rays will be passed through the part of your body being examined.